Discover the hidden possibilities with SmartArt. Here we teach you how to draw 3D cyclic arrows using SmartArt object. Learn from the step-by-step video tutorial. Since you have the option to create any number of sectors in a Segmented Cycle SmartArt object, by pressing ‘Enter’ in the text pane, you can create a diagram with any number of cyclic arrows using the method you’re about to learn. That’s what makes this tutorial so useful. Before you learn the tutorial, I wish to convince you of the utility of 3D cyclic arrows in general. 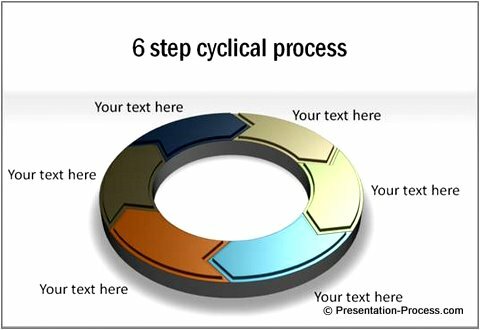 Here are some of the cyclic arrow diagrams from our 750+ PowerPoint Charts & Diagrams PowerPoint diagrams pack for CEOs. 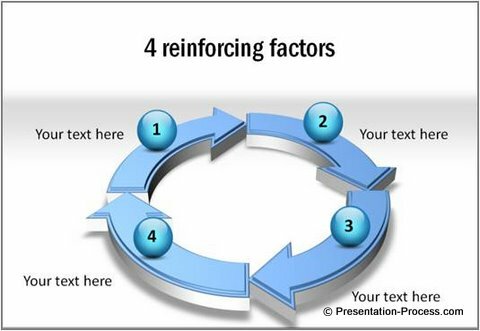 You can use cyclic arrows diagram to explain reinforcing factors in a process. The tutorials for creating Glossy Ball is available here. 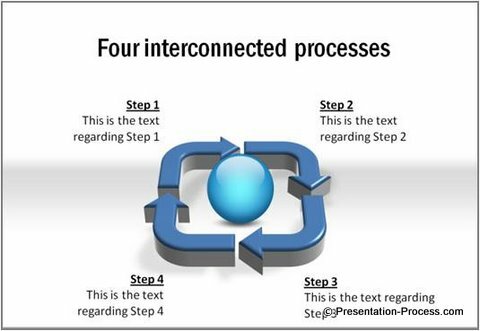 You can use the diagram to highlight the missing piece in a link or to highlight one critical factor out of many in a process. 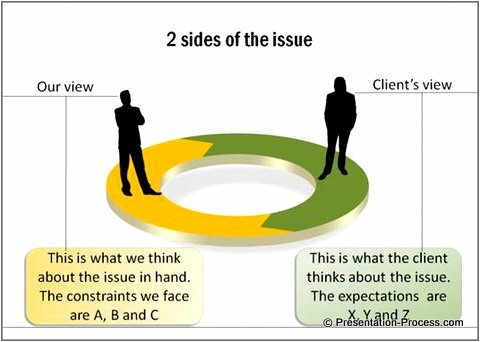 2 Cyclic arrows can depict two interrelated sides of the issue. 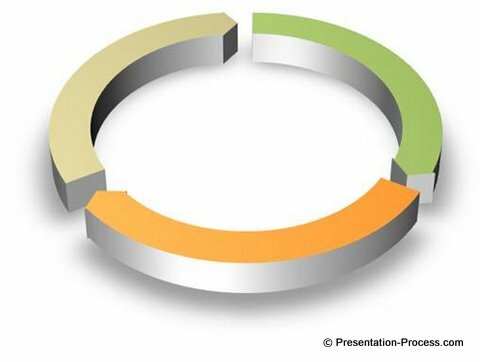 You can use cyclic diagrams to portray loops or interconnections in a process. You can customize the diagram to include as many cyclic arrows as you need. Your cyclic 3D Arrows are ready! Even though we publish a wide variety of remarkable tutorials in this segment, you need a lot of practice to get the design right. 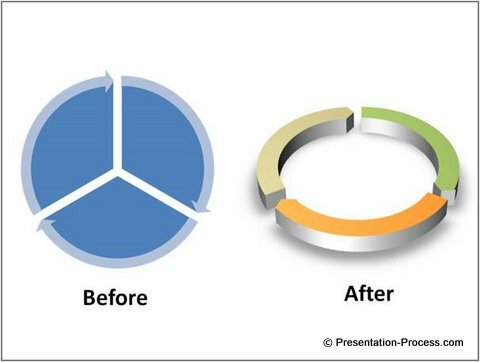 Keep trying different alternative arrows in PowerPoint till you are happy with the result. 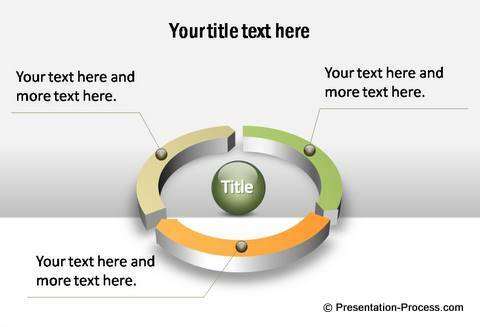 If you are too busy to experiment, consider our 750+ PowerPoint Charts & Diagrams pack. The above template is also from the same pack. Why compromise on the professional look and feel of your slides, when you can achieve surprising results in a matter of minutes with these ready-to use diagrams? 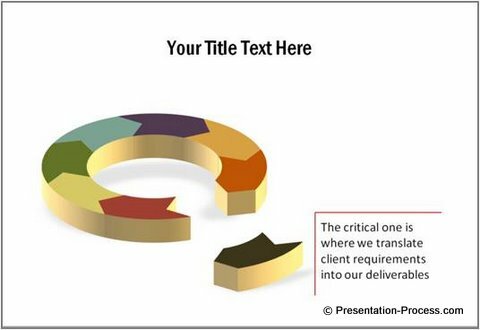 The pack has Over 750 unique PowerPoint diagram templates to help you visualize any business idea or concept quickly and creatively. Just ‘Copy- Paste’ and your presentations get ready in minutes.